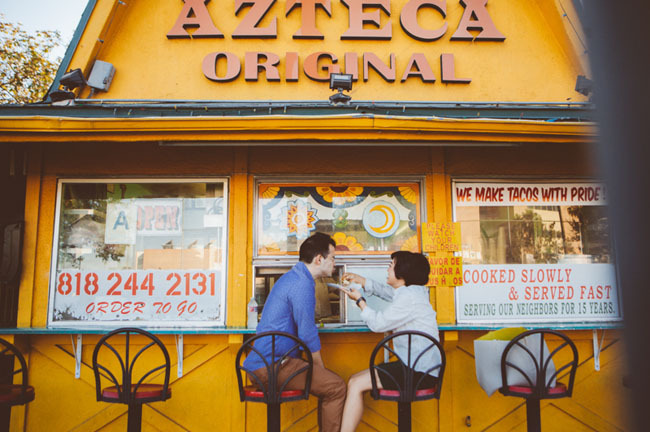 For their engagement photos, rather than go all out and do something out of the ordinary, Stacy + Diego wanted to stick with what they normally do day-to-day. 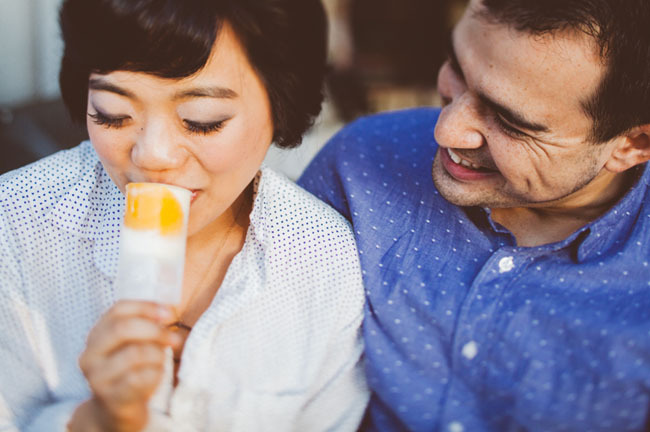 Since they LOVE to laugh and be silly together, and enjoy their fave eats + treats (tacos + popsicles!) 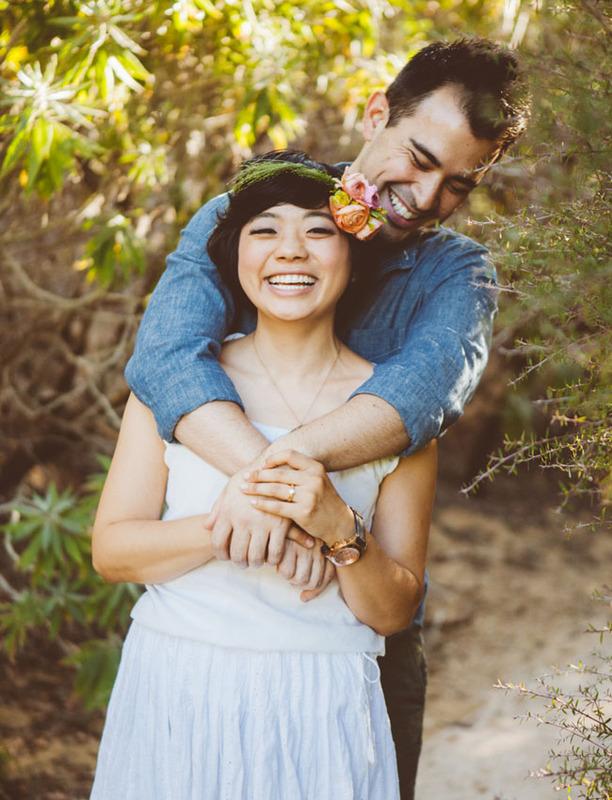 it only seemed natural that they’d work those things into their adorable e-session with Laura Izumikawa! 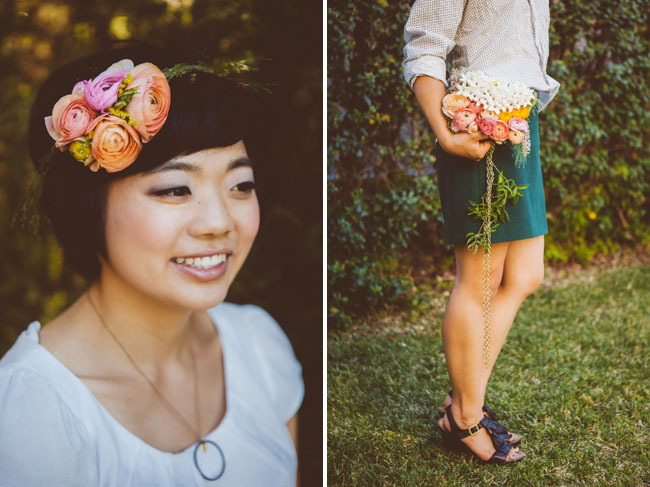 There were minimal props, but sometimes all you really need is a flower crown + a matching flower purse (WHAT?! Yep, you’ll see that in a sec!). 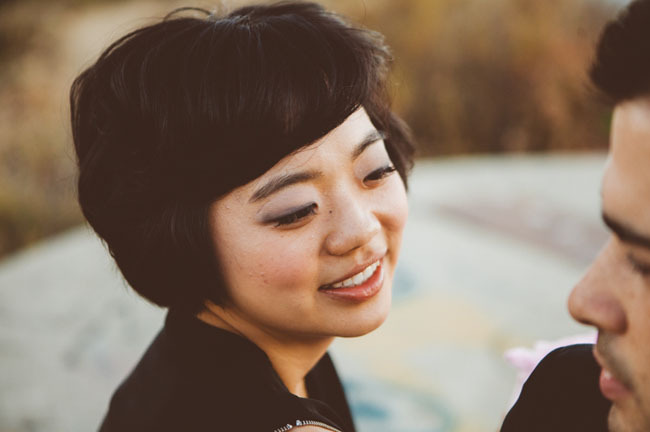 And Stacy went with pretty makeup by bareMinerals to keep her look as natural + relaxed as their photo sesh was. Love, love, love it! 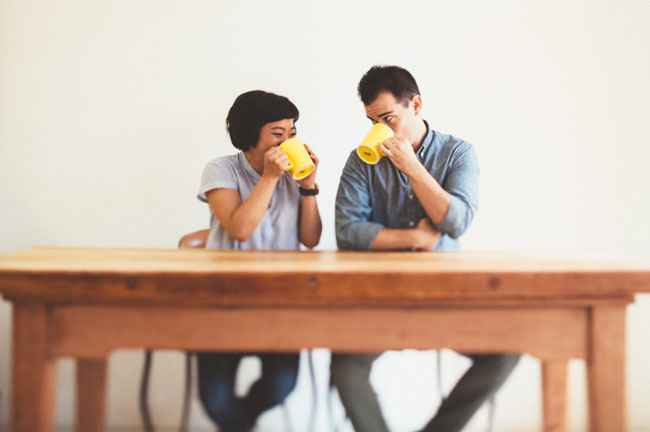 From Laura, Without fail, every Wednesday Stacy + Diego read books and drink coffee together at home, so that is where our session started. 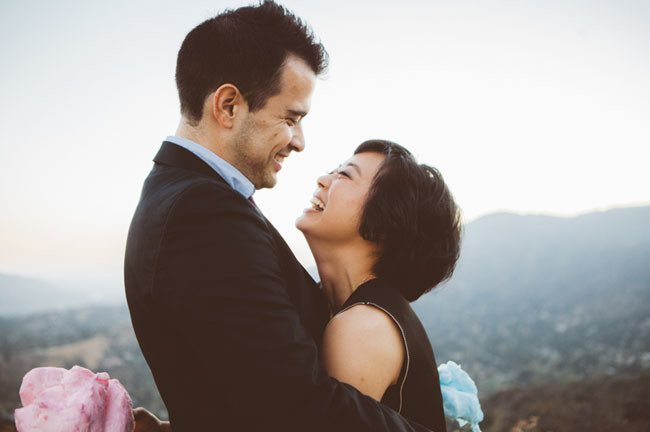 After that, we headed to a small park in Glendale where Diego asked Stacy to be his girlfriend – and later asked her to be his wife! 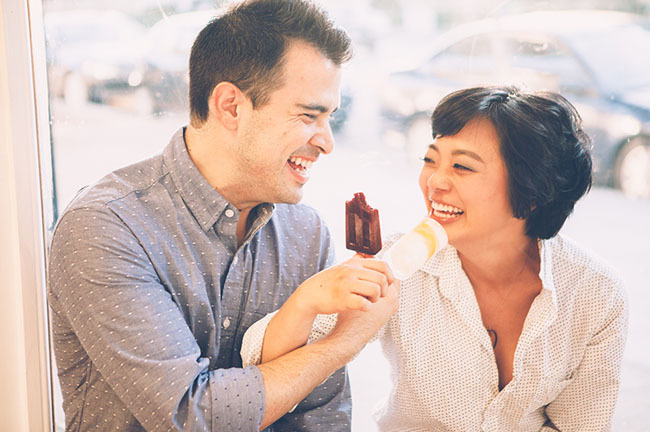 Next, we went to their favorite taco place for a bite to eat and then headed off to their favorite dessert/popsicle place in Burbank. 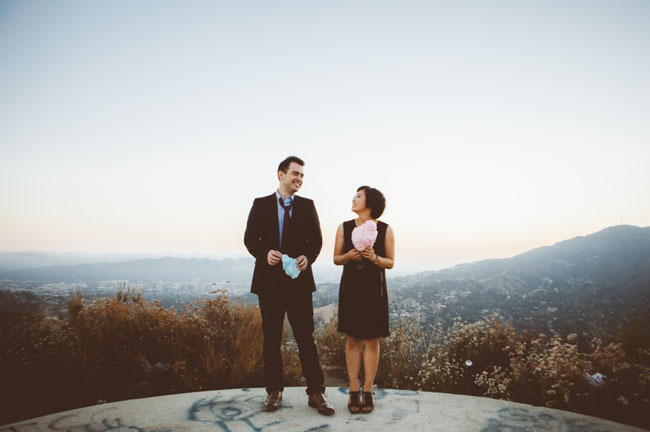 We ended the day on top of a hill behind Stacy’s home with cotton candy as the sun came down. Ok, THIS bag! 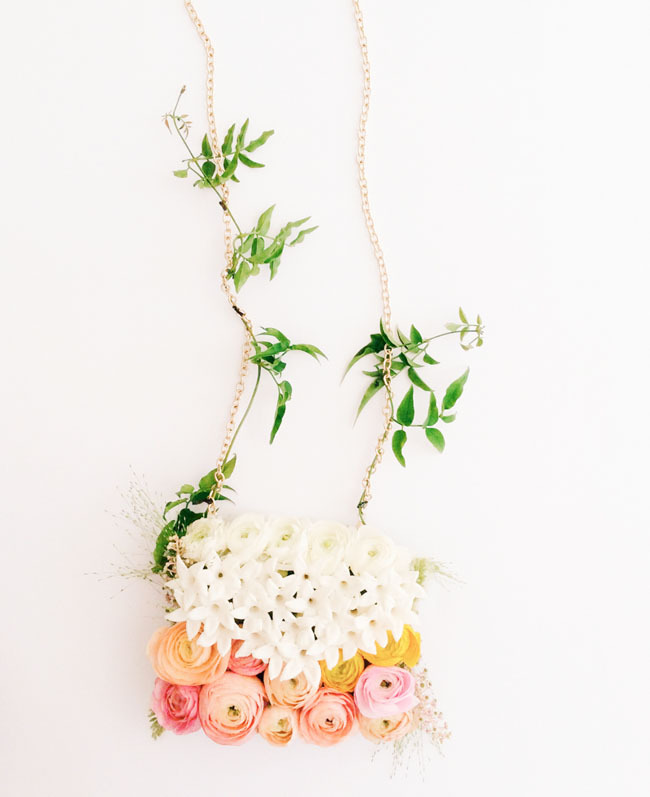 Jenny from California Floral crafted that little beauty. Jenny, can we have one?! 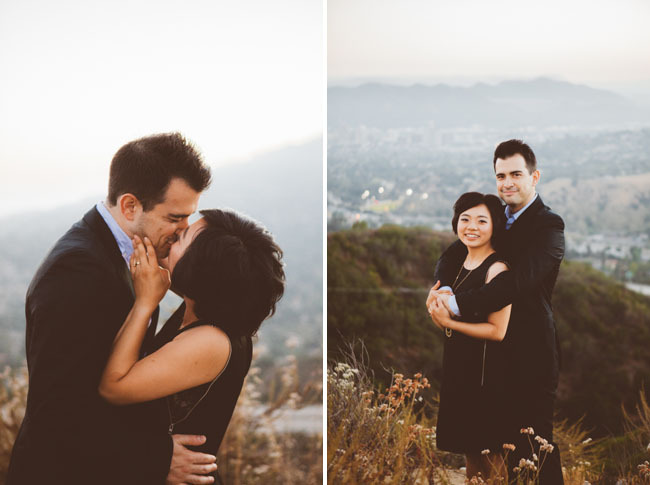 Love these twilight shots of Stacy + Diego. 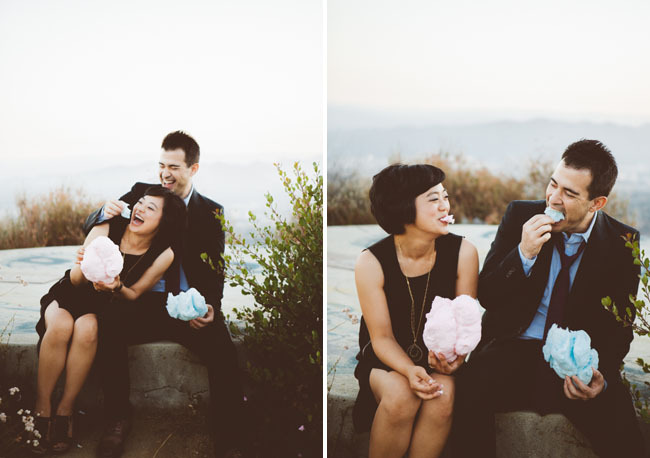 And, of course, you can never go wrong with cotton candy! Big congrats, S + D! 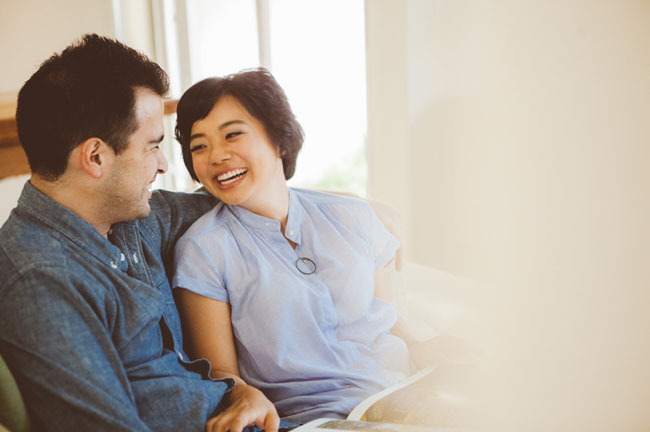 We loved this peek into your sweet everyday lives. 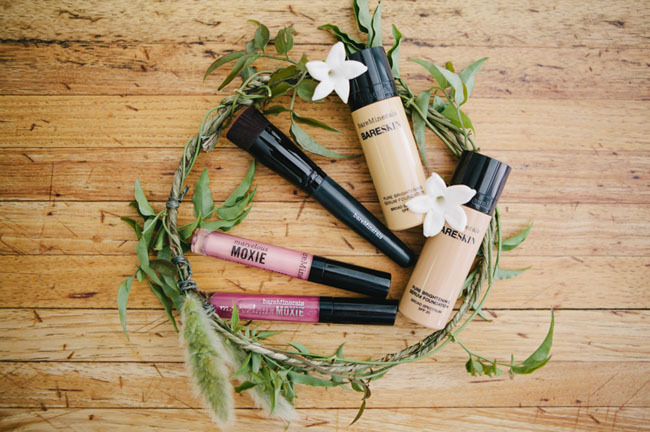 :) For all of you newly engaged gals + brides-to-be, be sure to remember bareMinerals for your engagement photos + wedding day! Their good-for-you formulas will only enhance – rather than cover up – your natural beauty. 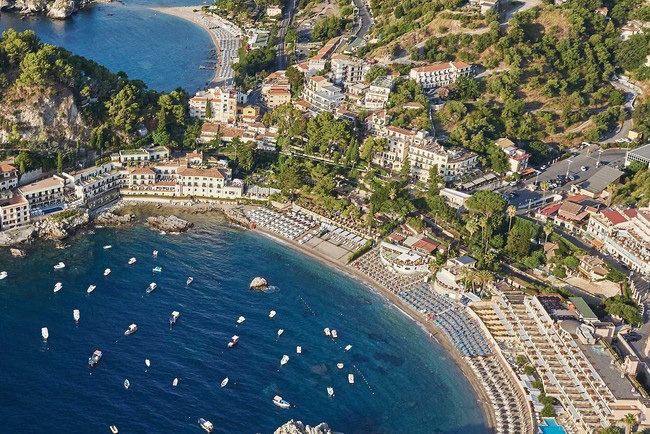 And that’s something we are definitely on board with! * This post is sponsored by bareMinerals. 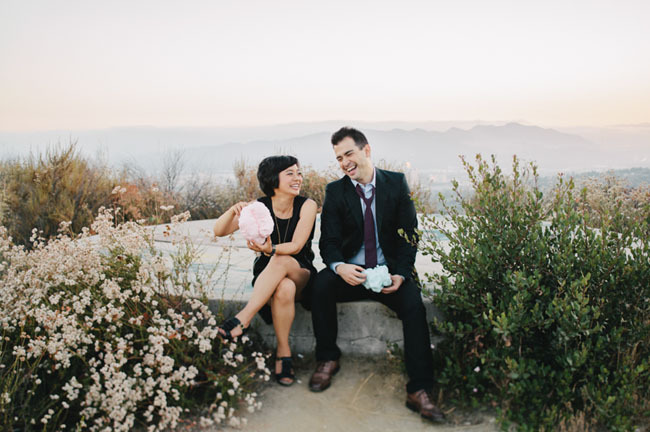 All content, ideas, and words by Green Wedding Shoes. Thanks for supporting our sponsors! Wow, they look like the sweetest couple! Amazing images, the photography is so beautiful. The pictures are so cute! 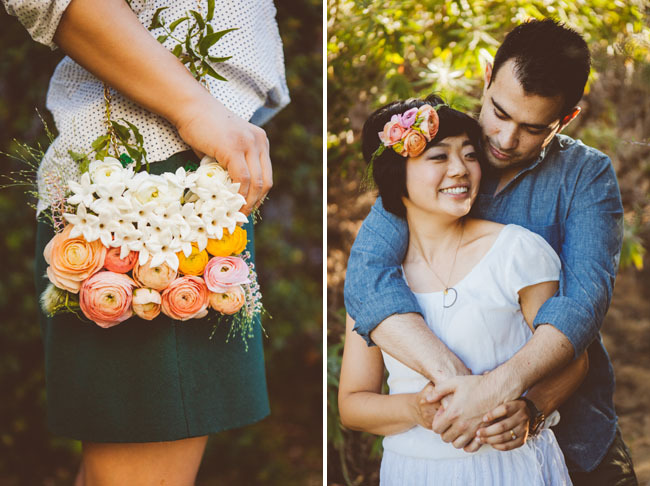 Love the little flower bag and hair piece! Brides who have their registry with us would love this. 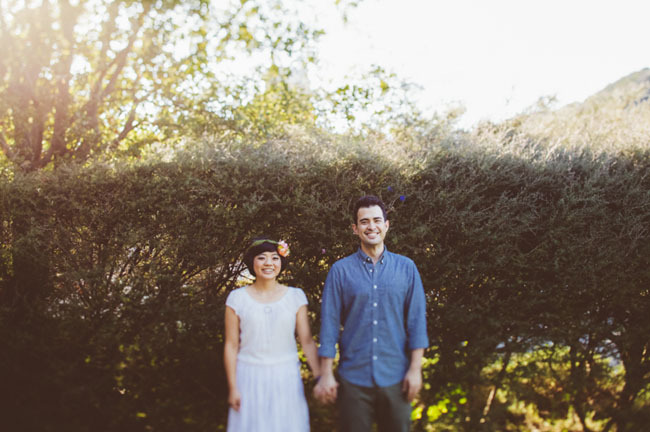 This session is so sweet! 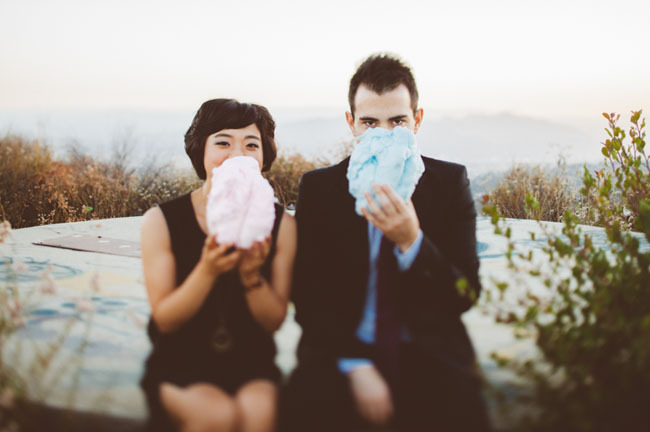 I love the cotton candy series! Top job!